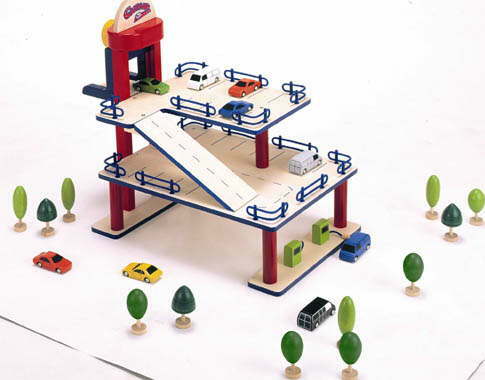 There’s hours of play value with this brilliant wooden car park. The park boasts 3 storeys, a working lift and petrol pumps for hours of imaginative play. It comes supplied with 10 vehicles and 8 trees as shown in the picture. It is specifically sized to offer compatibility with most collectable toy car ranges.